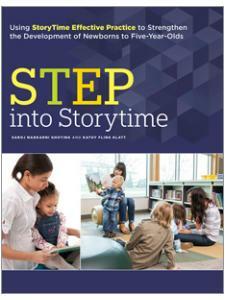 Research confirms that reading success starts with young children enjoying library storytimes! Preschoolers' earliest experiences with books and reading are important; parent/caregiver knowledge can build on those experiences, according to research from the National Institute of Child Health & Development, conducted with PLA and ALSC, the co-initiators of the Every Child Ready to Read@your library® program. Storytime is the perfect time to offer guidance to parents so they can better prepare their children to be successful readers. 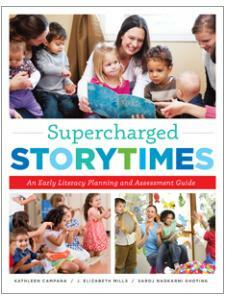 Here's a proven way for adults to enhance children's reading readiness. 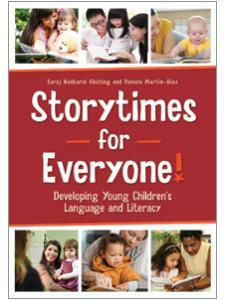 Saroj Nadkarni Ghoting, an early childhood literacy consultant, worked on the PLA/ ALSC initiative, Every Child Ready to Read @your library®. She implemented the program at Maryland's Montgomery County Public Library when she was early childhood services coordinator. A children's librarian since 1976, she stays in touch with public service by working at Neill Public Library (Pullman, WA) and Moscow (ID) Public Library. She received her MLS from Catholic University. Follow her on Twitter at @sghoting. Pamela Martin-Diaz is branch manager of the Allen County Public Library in Fort Wayne, Ind., where she was a major writer of an early literacy grant, funded by the Lilly Foundation, which established early learning centers in branches and purchased materials for parents to use with their young children to promote letter and sound awareness. She developed a set of cards called "Playing with Words on the Go!" 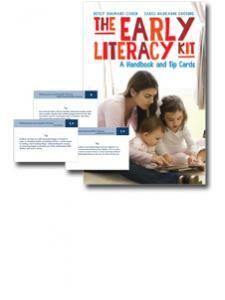 designed to help children with phonological awareness as well as the game "Letter Play Sets" (available through Allen County Public Library), both of which help libraries incorporate early literacy in their story times. Pamela has presented workshops and seminars on early literacy in several venues, as well as presented numerous training sessions locally for Head Start and other early childhood providers.